I hope you enjoyed Easter. 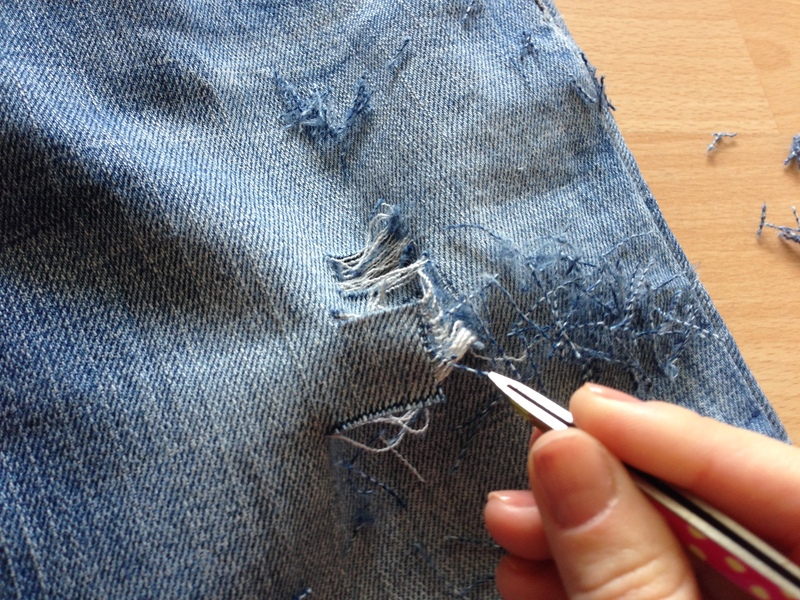 I’m back from holidays and some of you might have recognized my new Ripped Jeans in my holiday pics. 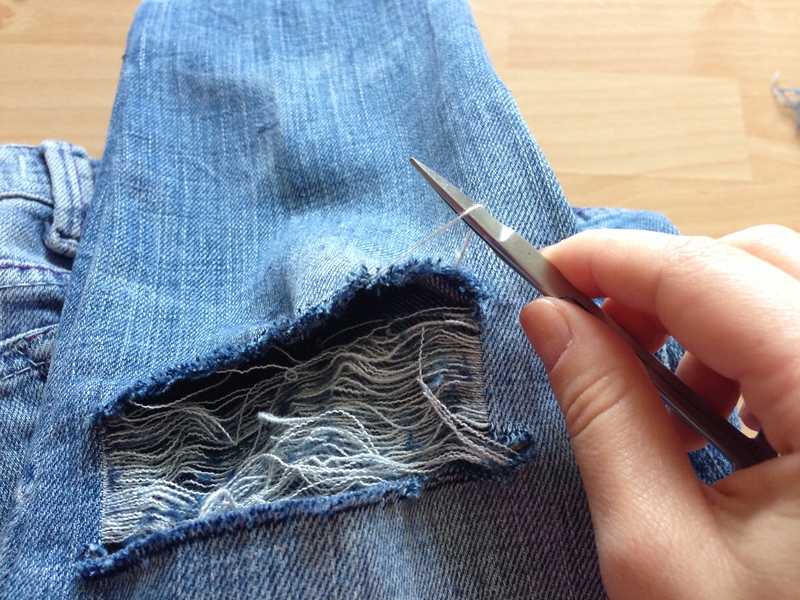 Ripped Jeans definately are back in fashion. Do you already own one? 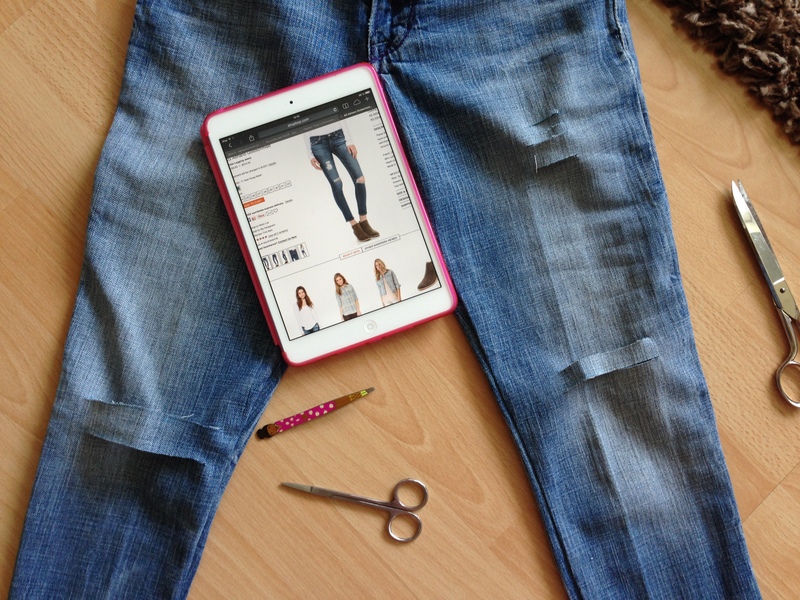 Mine are my recent DIY project I’ve completed just before the holidays If you don’t want to buy, you can make one yourself – all you need is a normal jeans. 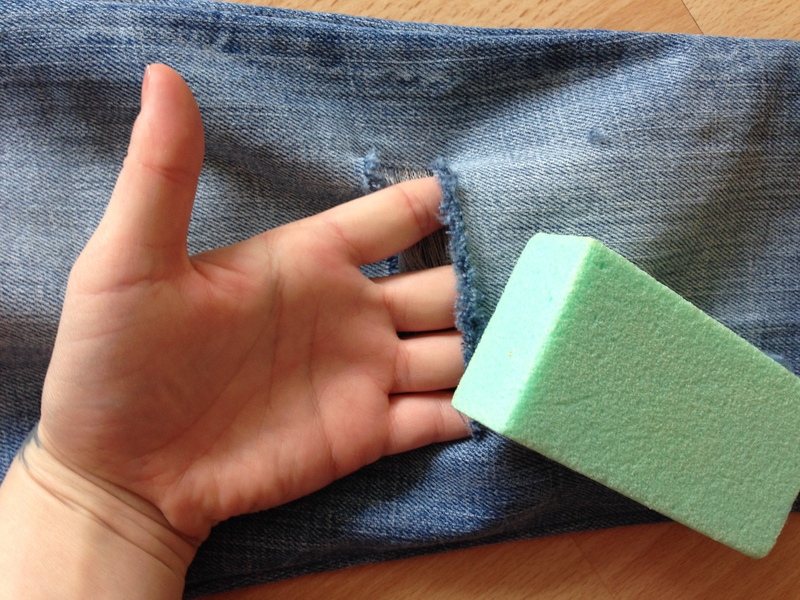 First you decide how your Ripped Jeans should look like – I found my model on the internet. 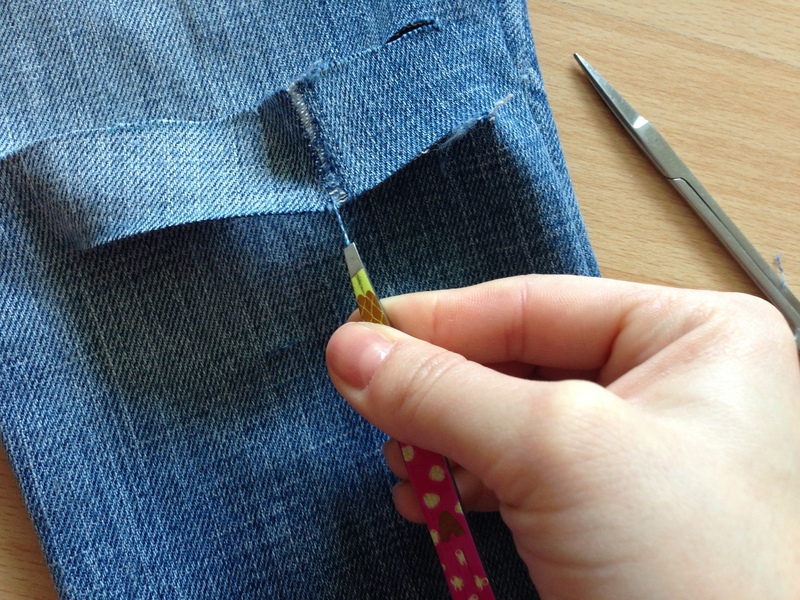 Then you make horizontal cuts using a normal pair of scissors and remove with forceps the vertical threads. A pumice stone is great to roughen the smooth edges – et voilà! 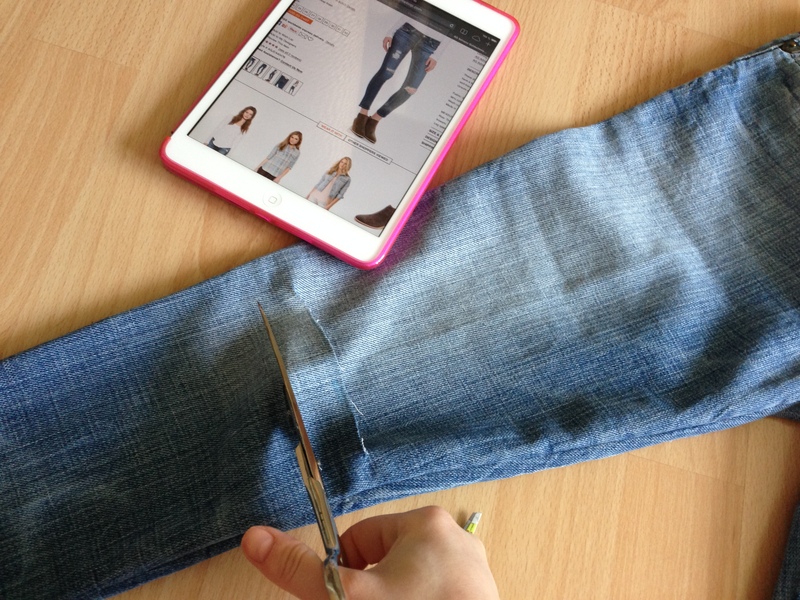 your new DIY Ripped Jeans.